So often our customers tell us - "I didn't know you did that!" 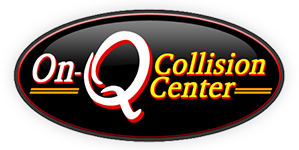 We offer so many services other than just fixing a vehicle after an accident. This morning when I arrived I work I was greeted with a prime example of that. In our lobby we have a saw blade that needs to be sand blasted and then painted, motorcycle parts that need new paint, motorcycle parts that need repair, paint and pinstriping and motor cycle parts that need paint. Then when I went into the shop I was greeted with some of our other projects. There is a motorcycle that a customer drove from pretty far away to have us do some body work and paint on. A truck that had its roof crushed during our recent high wind storm and a sweet Jeep that our customer wanted us to repair and paint so it looks as good to others as it does in his minds eye. We know that motorcycle riding season is right around the corner and many people are getting their bikes ready for the season. We love being able to get them repaired and back to them in plenty of time to enjoy the season. We also know that camping and boating season is also right around the corner. We know how short these seasons are in the Wausau and Northern Wisconsin areas. And because of that, we are dedicated to repairing these and returning them to our customers very quickly so they get the most use out of their investments. Of course, we do repairs cars/trucks after accidents too. Whether is was a deer, a tree, another car, the garage or any other immoveable object, we can make the damage disappear. So, if there is any question about what we can or can't do, just give us a call. If, for any reason, it is something we can't help you with, we will gladly do our best to give you contact information for someone who can. Keep our out of the box thinking in mind. We love to show our creativity and quality. Give us a shout!